Engaging in sports is one of the many venues to foster team spirit and camaraderie, and often times it brings out the best in people – to become leaders, team players and great supporters in a ‘more fun way’. 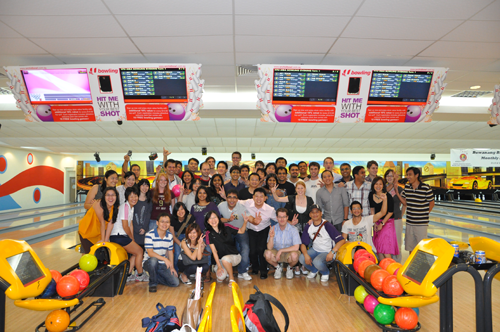 That is why we recently had our first bowling event where we had all the ingredients we want in a sports activity – getting fit, having fun and fostering team spirit and camaraderie with not only with our MBA peers, but also with the MBA Office staff. 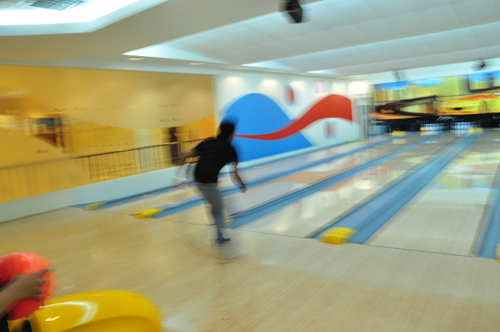 As the games progressed, we witnessed strikes, spares and splits. We screamed and cheered, even if the ball rolled into the gutter. 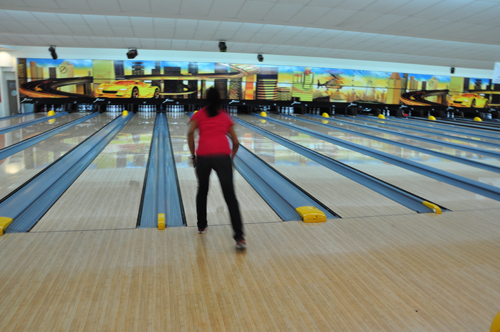 Curved balls, dead balls and even gutter balls – you name it, we have done it. And the way these balls were thrown, add up to the excitement and anticipation whether we could make a strike or just hit the plain gutter. In fact, there were many tries that went down the drain. Nevertheless, we had fun, and our resilience to be the best in what we can do in bowling, just shows that we strive to beat the odds, in whatever we do. And I believe that this makes us Nanyang MBA students to be more successful later in life. After 2 nerve-wrecking games, the team of MBA students Dora, Harry, Merina, Mandar and Sharon together with our Admissions Director, Nick Soriano were hailed as the winners of the bowling tournament. Thru points, there were was only one team who won, but we all felt as winners that afternoon by being able to survive the event with fond memories to remember, and learning further about team work in a different setting, apart from the academe. For sure, this game will never be the last. Do I hear a call for a re-match?